To help improve immunization rates for Medicare beneficiaries, the Immunizations Network is convening an online community of traditional health care providers, partners and community stakeholders from Arkansas, Missouri, Puerto Rico and Texas to identify and implement solutions to increase education and awareness of these vaccine-preventable diseases, and increase the immunization rates for these diseases across our region. By joining this network, you and/or your organization will receive access to free resources and training to help increase awareness of vaccine-preventable diseases and methods to increase the immunization rates within the Medicare beneficiary population in your community. Download this fact sheet (PDF) to learn more about how you or your organization will benefit from joining the Immunizations Network. All health care providers, practitioners, home health agencies, stakeholders and partners are encouraged to join our network. To do so, click on the “Create an Account” link in the upper right corner of this page and following the prompts. Links to external sites are intended to be informational and do not have the endorsement of the TMF QIN-QIO. In addition, these sites may not be accessible to persons with disabilities. Click to learn about our award programs. Show your participation with the TMF QIN-QIO. Download these resources to learn more about the Immunizations Network. 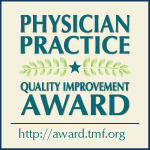 Register today for this Quality Innovation Network-Quality Improvement Organization webinar on Wednesday, May 8, from noon to 1 p.m. CT. Join us to learn about Patient and Family Engagement (PFE). We will share strategies, best practices and resources you can use to partner with your patients and their families. We will also review various approaches for patient and family engagement, providing you with a blueprint to implement the most suitable PFE approach for your organization. This click capture module will have no visible title or content in production use. This module waits for the page to fully load then parses the page to identify each video link. A custom "OnClick" event is dynamically added to each video link. The Onclick operation sends click data to the TMFQIN Link Tracker service.